Yet another year is almost done and whilst many of our friends and family all over the world are gearing down to enjoy the festive season, the lodge is gearing up to welcome new and old friends to enjoy a relaxing and festive time in the bush and usher in a brand new year. We take this opportunity of thanking everyone for making Sabi Sabi such a huge success, despite many challenges during the year we have continued to excel and have enjoyed a remarkable year. This could not have been accomplished without the passion, commitment and support of all our staff and we are blessed to have such a diverse group of skilled people within our ranks, who are all part of our family. We look forward to this momentum carrying us forward to new heights. There have been many other highlights in 2014. Awards, accolades and acclaim have been garnered for all lodges and we thank our guests for their endorsement of our beautiful reserve and our staff for simply being the best. 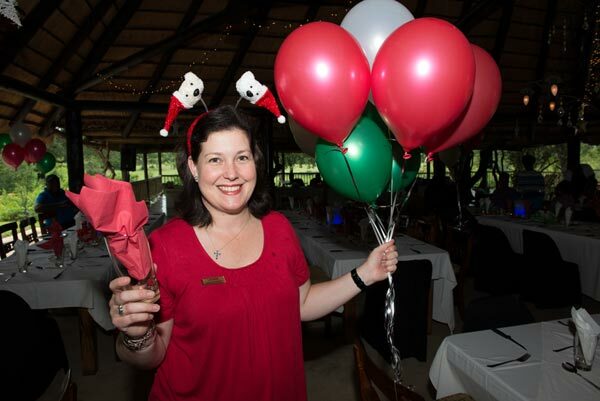 Two weeks ago Bush Lodgewas host to the wage staff Christmas party, where for this day our waiters, butlers, chambermaids, trackers and ground staff were treated as guests. We also award long service staff at this event and this year was a bumper year, with no less than 22 long service awards – two 10 year awards, eighteen 20 year awards and two 30 year awards – a testament to Sabi Sabi’s family culture. The year has been characterised by the introduction of many special touches that bring our safari experience to a new level as well as remaining consistent with our established projects and 2015 promises to be equally rewarding. Over the past 5 years we have consistently shared our news with you on the happenings on the reserve – be it new people, new and exciting projects, staff interests, wildlife, community happenings and at times educational newsletters. These have all been well received and for 2015 we would like to offer our friends and family from all over the opportunity to tell us what interests you. 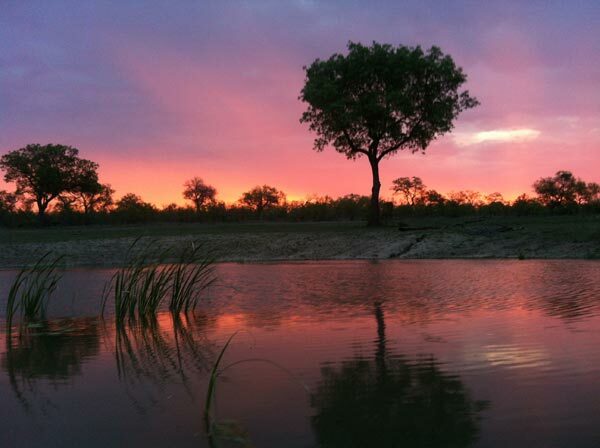 Our aim is to give life to the reserve with the written word and fantastic accompanying images and we hope to continue captivating you with more of what you would like. So feel free to jot down your ideas tomarketing@sabisabi.com – we look forward to you being part of this process and hearing your thoughts. In closing, with just a few weeks to go before the end of this challenging year, there are some exciting plans in store for Sabi Sabi and ongoing efforts to enhance our great guest experience. And while we continue to introduce new and exciting innovations the beautiful African bush remains constant – unspoilt, unchanging and unbelievable. We wish all of our friends near and far a wonderful festive season and safe and happy New Year.